I was fostering Granite through the Paw Project Utah who I ended up adopting. 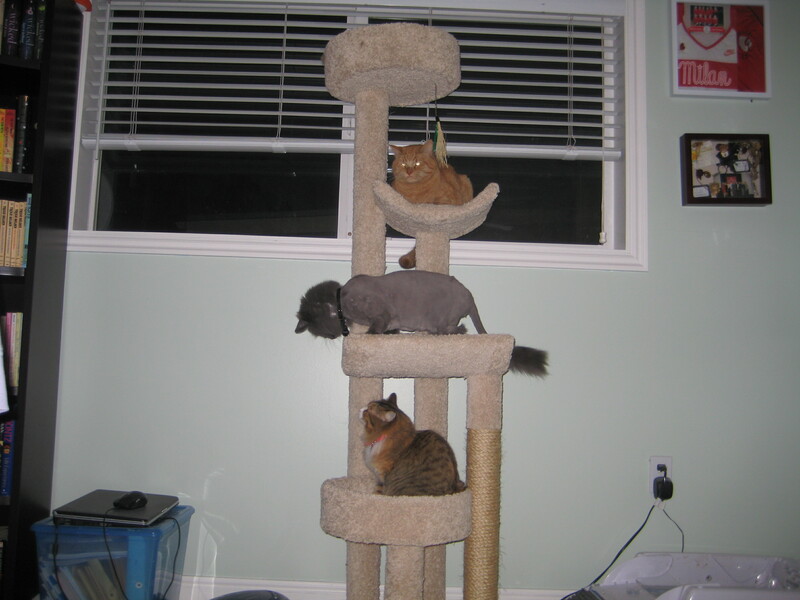 When I introduced Granite to my home he got along fine with my cat Oliver and dog Disco. A couple of months after adopting Granite I brought a feral kitten (Masey) into my home. Granite’s behavior changed for the worst. He was hissing and growling at everyone, including me. He would not let me near him. My peaceful home turned into a war zone with Granite going after everyone. My vet decided to put Granite on Prozac to help with the behaviors. The Prozac helped but it was not enough. My vet referred me to Ingrid. Ingrid spent time with me and gave me helpful suggestions on how to help Granite become the cat I fell in love with and also how to domesticate Masey. Granite is now off the Prozac and is loving towards me and his furry brothers and sister. Masey is now letting me pet her and pick her up. Ingrid restored peace to my home and I am forever thankful for her help!